Despite the consistently cold weather, new route activity has been a little slow this season. For sure the regulars have been looking around new corners, Guy Robertson and Greg Boswell have been climbing superbly well, and several new faces have appeared on the new route scene such as Tim Miller and Martin McKenna. But in general, conditions have been a little challenging at times, with heavy snowfalls and high winds. Snow has yet to consolidate and ice is now only starting to form in quantity on the high mountain cliffs. Nevertheless, some excellent ascents of the steeper and more difficult classics have been quietly been taking place and have largely passed under the radar screen. These include Unicorn (VIII,8) in Stob Coire nan Lochan by Dave Almond and Helen Rennard, and Murdoch Jamieson and Nick Bullock, and The Secret (VIII,8) on Ben Nevis by Tim Miller and Richard Kendrick. And although not quite a classic, another ascent of note was The Screaming (VIII,8) on Beinn an Dothaidh by Neil Adams and Brian Pollock. 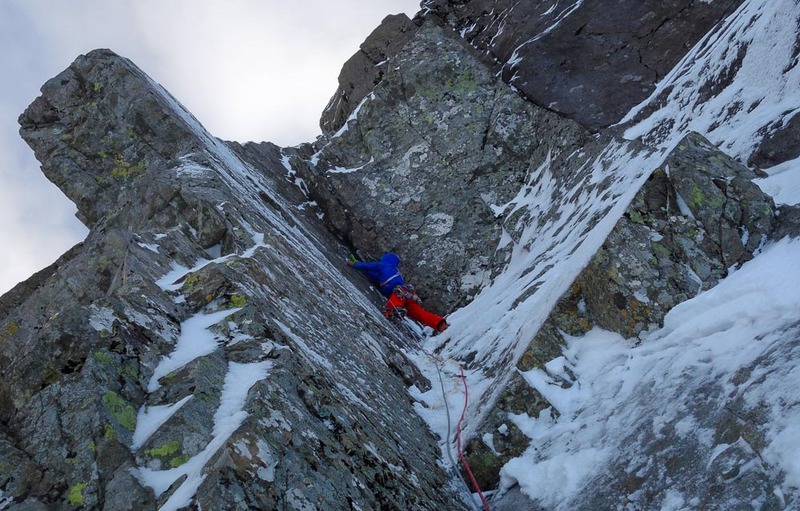 This entry was posted in Commentary, Repeats and tagged Alasdair Fulton, Andy Inglis, Beinn an Dothaidh, Ben Nevis, Brian Pollock, Dave Almond, Helen Rennard, Murdoch Jamieson, Neil Adams, Nick Bullock, Richard Kendrick, Stob Coire nan Lochan, Tim Miller. Bookmark the permalink.